Komodo Island is the largest island in Komodo National Park region, East Nusa Tenggara Indonesia. The National Park is home for more than 4000 Komodos. So what is it Komodo? Komodo is actually a species of lizard. What is it so special from this kind of lizard? There are more than 3000 lizard species on earth and Komodo is the largest living lizard on earth. 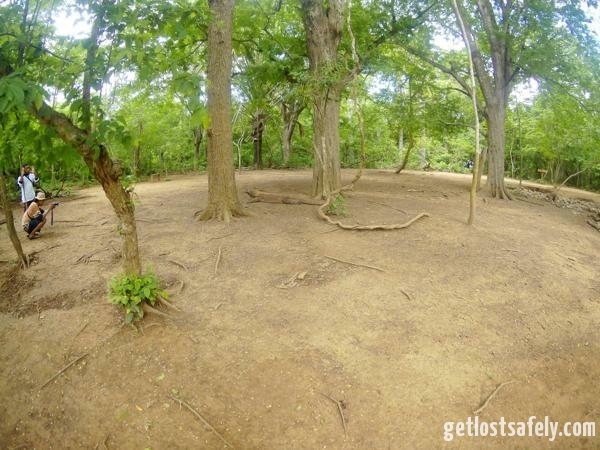 What you can do here is for sure to see the Komodo. 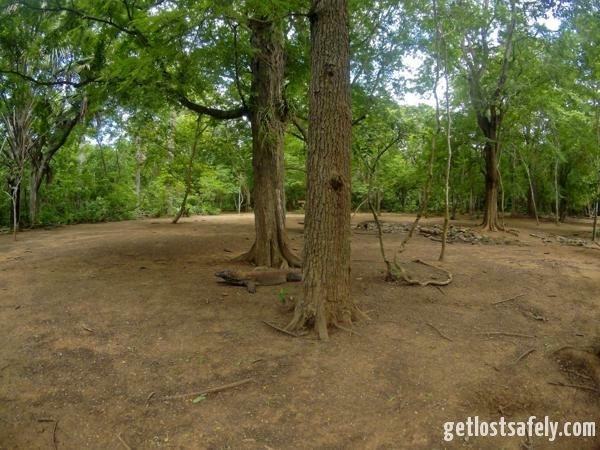 You will have to trek through the tropical jungle that in my opinion looks like the Jurassic park. Well, actually Komodo is an ancient species of reptile with ancestors that date back more than 100 million years. Komodo dragons were unknown to western scientist until 1912. Komodo holds up a vulnerable conservation status. Their big size unfortunately doesn’t guarantee their safety in the nature. They are safer being inside the National Park but those that live outside the Park are in the greatest risk. Habitat fragmentation, grassland burning and Timor deer hunting are the main threat. First of all, you will have to pay for the entrance fee (keep reading), choose the trekking rail and a guide will walk you. The guides speak English and they are full of information. They will explain a lot about the dragons, also answer your questions. 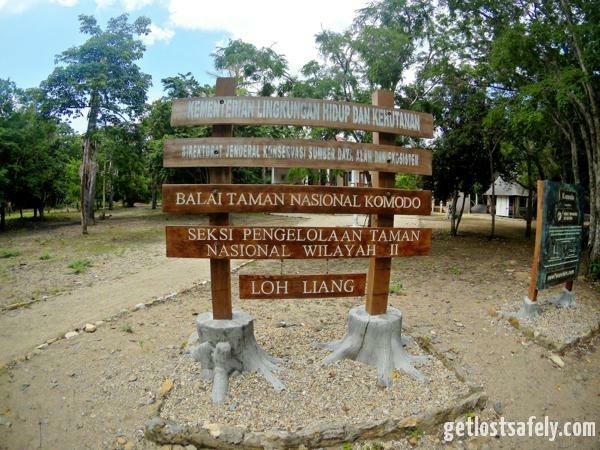 Several walking trails are available in Loh Liah Komodo Island, such as adventure trek, long trek, medium trek, short trek and super short trek. I think that we took the short trek due to the time limit we had that day. Before the trekking we had a briefing. 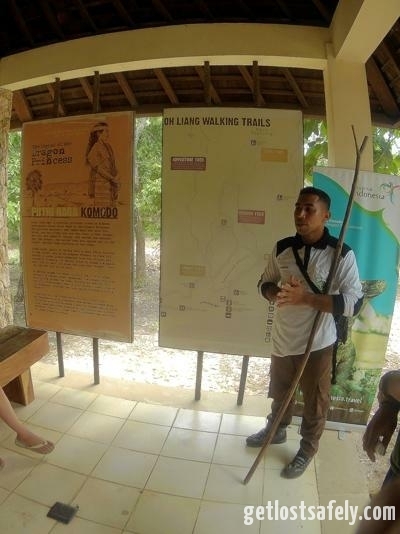 The guide told us some rules that we have to obey such as, stay in group, do not feed the Komodo dragon and do not make unnecessary noise. He told us that he can’t guarantee that we will meet the Komodo. They are living in wild nature and we had to be really lucky to meet them. Then we began the Komodo trekking. 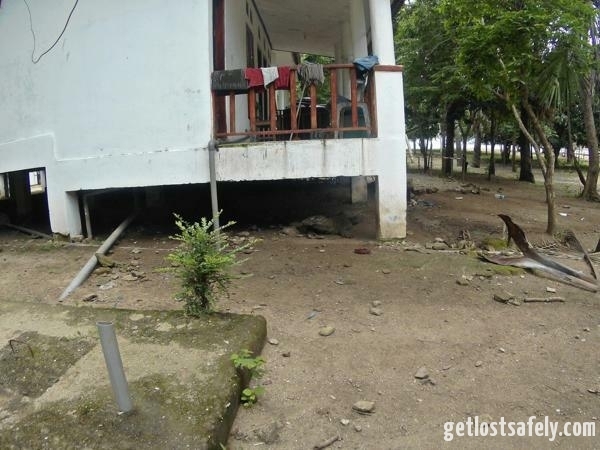 We went through the houses where the rangers live and surprisingly there was a big Komodo dragon lying under the house. I can’t imagine living in a place where sometimes the predator comes to visit me. We continued and we met wild pigs, chickens, birds and snails. 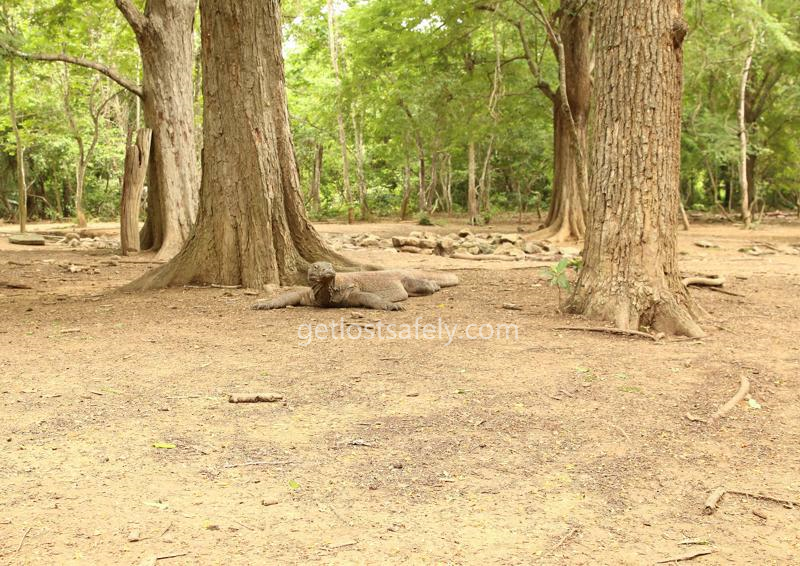 It’s not just the place for Komodo, there are other animals living together in harmony. 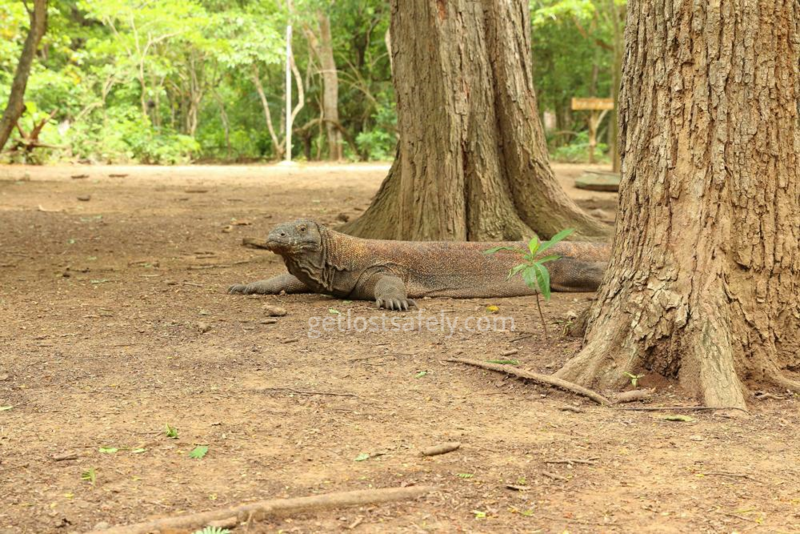 It’s quite rare to see the Komodo in the jungle, especially on day time where they usually having a rest somewhere. I guess we were lucky. We met one of them on our walking trail. We took lots of photos of the dragon and with the dragon. At the end of our trekking, at the houses near by the sea, we met even more of them. I guess like 5 komodo dragons at that time. They were nicely lying down under the tree or under the wooden house. It was really weird how the guide disturbed them by throwing a stone so they move. In my opinion he was trying to amaze us and showing us off how is it looks like when the komodo dragons move and walk. Bad idea though. One of the tourists in the group got mad, she thinks that we shouldn’t disturb and provoke the dragon. I agree, why should we disturb them? They were just enjoying their time and having rest. 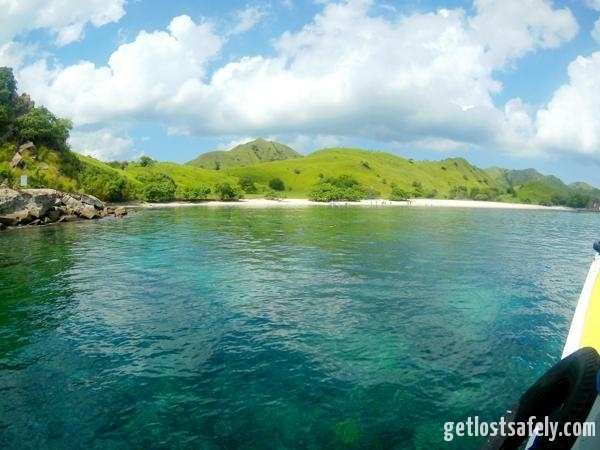 Pink Beach or Pantai Merah in Bahasa is located in Komodo Island just a view minutes sail from Loh Liang. After the komodo trekking you can cool down and chill at the Pink Beach. More stories about pink beach follow. Komodo Island is the furthest island in Komodo National Park from Labuan Bajo, Flores Island, Indonesia. 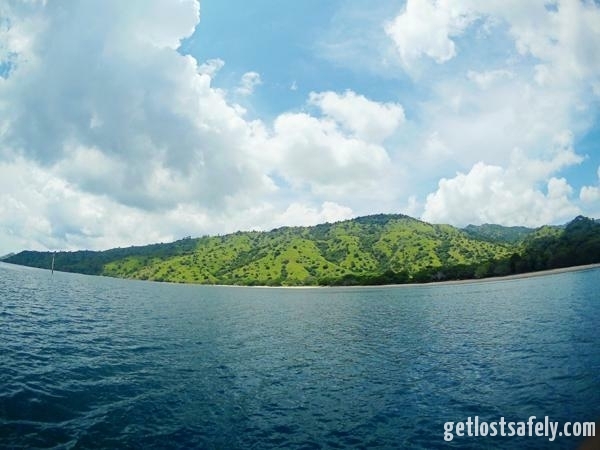 From Labuan Bajo you will take a boat to Komodo Island. 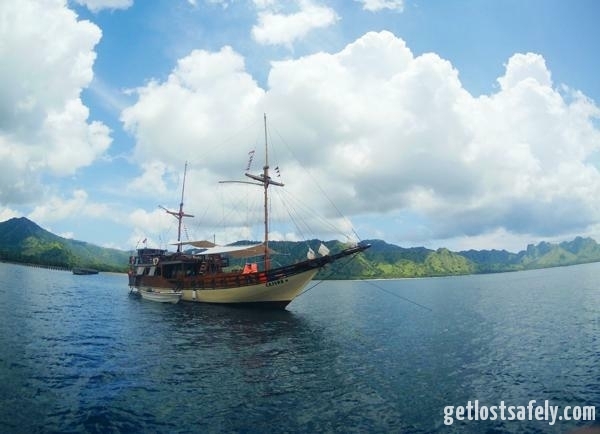 If you didn’t know how to get to Labuan Bajo, this article would help you Is It Really Expensive to Go to Labuan Bajo, Indonesia? 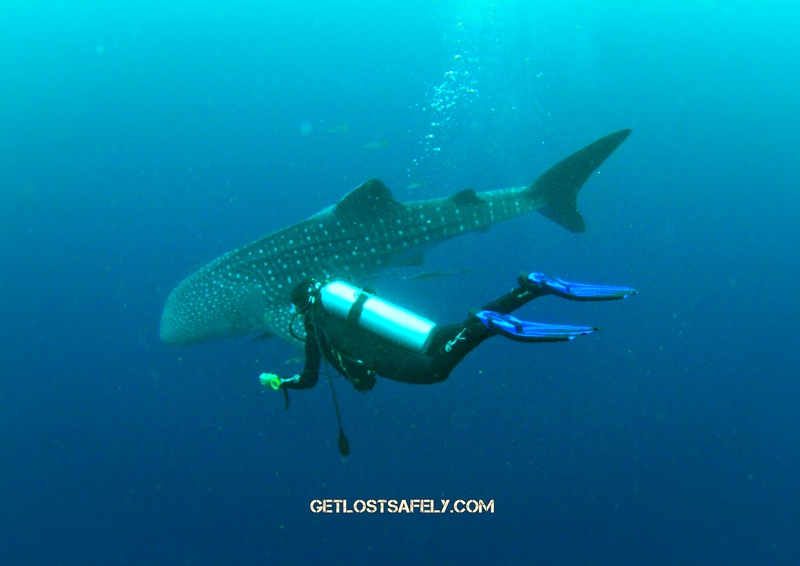 Komodo Trip is easy to plan in Labuan Bajo. Lots of travel agencies offer a day trip or 2 days trip, 3 days trip, etc. The easiest way is to join the trip in group. I took 1 day trip to Padar Island, Komodo Island, Pink Beach and Manta Point. I paid 500.000 IDR (35 €) for one day trip to 4 spots. The price includes mineral waters, lunch and snorkeling equipment. I had my own fins and mask, so I got slightly less price . I was traveling with the service of Bule Tour & Travel. Check out my previous article Padar Island Komodo National Park for the contact to Bule Tour & Travel. 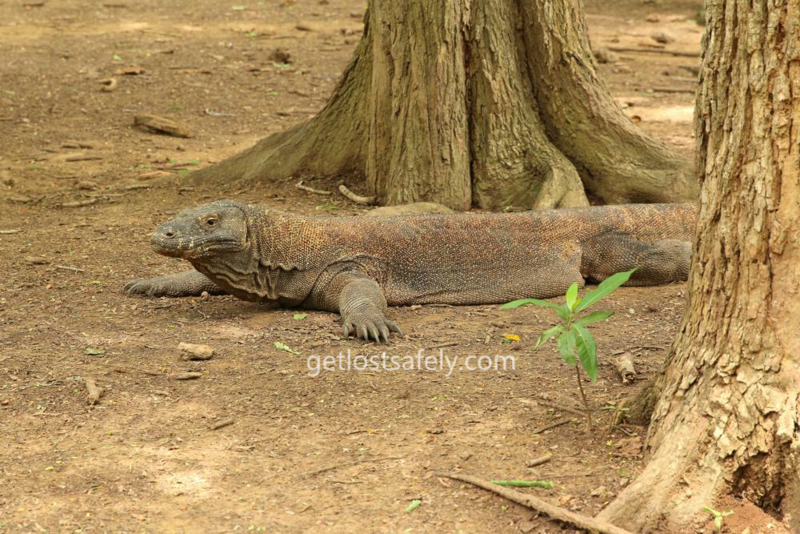 The entrance fee to Komodo National Park is another thing that you have to consider. It was for 75.000 IDR (5.31 €) as a domestic tourists and for foreigner was 150.000 IDR (10.61 €). This you will pay at the Loh Liang office. The fee is valid just for one day. If you already paid the fee here, you wouldn’t have to pay again in Rinca Island at the same day. But becareful, the entrance fee is much more expensive on Sunday and on national holiday such us Easter, Nyepi, Eid Mubarak, etc. So over all you will pay for 575.000 IDR to Komodo trip as an Indonesian citizen and around 45.61 € for foreigners. Come in the morning when the Komodo is active. It will increase the probability that you will meet them. Take money in cash and in local currency. They don’t accept card either cash in other currency. Rest well the night before the trip. 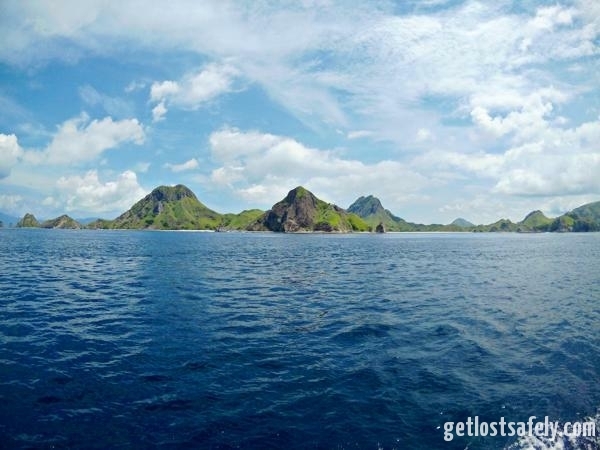 Here is an article for 7 destinations to visit in Labuan Bajo, Flores.